09/08/2010 -  MINNESOTA SWARM: Have traded their 54th selection in the 2010 Entry Draft to the Boston Blazers in exchange for Matt Lyons. 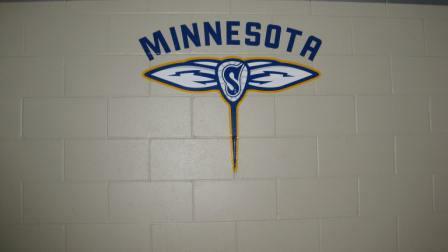 09/08/2010 -  MINNESOTA SWARM: Have traded their 13th selection in the 2010 Entry draft and their third round selection in the 2011 Entry draft to the Buffalo Bandits in exchange for their 15th selection in the 2010 Entry draft and the 27th selection in the 2010 Entry draft. 08/23/2010 -  BOSTON BLAZERS: Have traded Mat Giles and their first round selection in the 2012 Entry Draft to the Minnesota Swarm in exchange for Kevin Buchanan and their fourth round selection in the 2010 Entry Draft. 08/13/2010 -  CALGARY ROUGHNECKS: Have traded Josh Sanderson and a first round selection in the 2010 Entry draft, 7th overall, to the Boston Blazers in exchange for Daryl Veltman, Kyle Ross, Jon Harnett and a first round selection in the 2010 Entry Draft, 3rd overall. 07/02/2010 -  TORONTO ROCK: Have traded Scott Campbell to the Boston Blazers in exchange for their second round selection in the 2010 Entry Draft. 07/02/2010 -  CALGARY ROUGHNECKS: Have traded Craig Conn to the Colorado Mammoth in exchange for their second round selection (18th selection overall) and fourth round selection (34th selection overall) in the 2010 Entry Draft. 03/16/2010 -  PHILADELPHIA WINGS: Have traded Mat Giles to the Boston Blazers in exchange for Dave Cutten, a second round selection in the 2010 Entry Draft and future considerations. 02/06/2010 -  BUFFALO BANDITS: Have traded Chris Driscoll to the Rochester Knighthawks in exchange for a second round selection in the 2010 Entry Draft and a second round selection in the 2012 Entry Draft. 02/02/2010 -  ROCHESTER KNIGHTHAWKS: Have traded Jamie Rooney and their first round selection in the 2010 Entry Draft to the Boston Blazers in exchange for their first round selection in the 2010 Entry Draft. 01/25/2010 -  BOSTON BLAZERS: Have traded Max Seibald to the Philadelphia Wings in exchange for a first round selection in the 2010 Entry Draft and future considerations. 12/21/2009 -  TORONTO ROCK: Have traded Dave Cutten to the Boston Blazers in exchange for their sixth round selection in the 2010 Entry Draft. 12/16/2009 -  MINNESOTA SWARM: Have traded Kevin Fines to the Rochester Knighthawks in exchange for a conditional sixth round selection in the 2010 Entry Draft. 12/16/2009 -  ORLANDO TITANS: Have traded Matt Danowski and a conditional third round selection in the 2010 Entry Draft to the Rochester Knighthawks in exchange for Mat MacLeod. 11/10/2009 - [X] ROCHESTER KNIGHTHAWKS: Have traded Gavin Prout and Dean Hill to the Edmonton Rush in exchange for their first round selection in the 2011 Entry Draft and a conditional second round selection in the 2011 or 2010 Entry Draft. 10/31/2009 -  COLORADO MAMMOTH: Have traded Gavin Prout, Andrew Potter and two first round selections in the 2010 Entry Draft to the Rochester Knighthawks in exchange for the rights of Illia Gajic and their first round selection in the 2012 Entry Draft. 10/30/2009 -  PHILADELPHIA WINGS: Have traded Rob Van Beek to the Calgary Roughnecks in exchange for their second round selection in the 2010 Entry Draft. 09/24/2009 -  PHILADELPHIA WINGS: Have traded Sean Thomson to the Minnesota Swarm in exchange to the rights of 2009 Entry Draft selection Kevin Colleluori and their third round selection in the 2010 Entry Draft. 03/11/2009 -  TORONTO ROCK: Traded Curtis Palidwor to the Colorado Mammoth in exchange for a second round selection in the 2010 Entry Draft. 02/26/2009 -  COLORADO MAMMOTH: Traded Curtis Palidwor to the Toronto Rock in exchange for their second round selection in the 2010 Entry Draft. 02/19/2009 - [19a] MINNESOTA SWARM: Traded Craig Point and Dean Hill to the Rochester Knighthawks in exchange for Aaron Wilson and a conditional draft selection. 12/12/2008 -  CALGARY ROUGHNECKS: Traded Tom Montour to the Buffalo Bandits in exchange for their first round selection in the 2010 Entry Draft. 12/12/2008 -  ROCHESTER KNIGHTHAWKS: Traded Mike Kirk to the San Jose Stealth in exchange for their first round selection in the 2010 Entry Draft. 11/17/2008 -  MINNESOTA SWARM: Traded Chris Courtney to the Rochester Knighthawks in exchange for their fourth round selection in the 2010 Entry Draft. 10/01/2008 -  CALGARY ROUGHNECKS: Traded Ryan McNish and their third round selection in the 2010 Entry Draft to the Edmonton Rush in exchange for their first round selection in the 2010 Entry Draft. 11/06/2007 -  CHICAGO SHAMROX: Traded a conditional sixth round selection in the 2010 Entry Draft to Portland in exchange for Jake Deane.